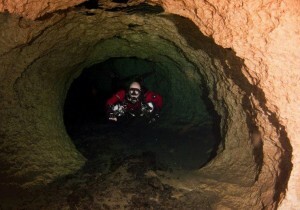 Technical Diving The DDS Difference…..Cave Diving Courses, Technical Diving Instruction and Rebreather Explorer Courses. 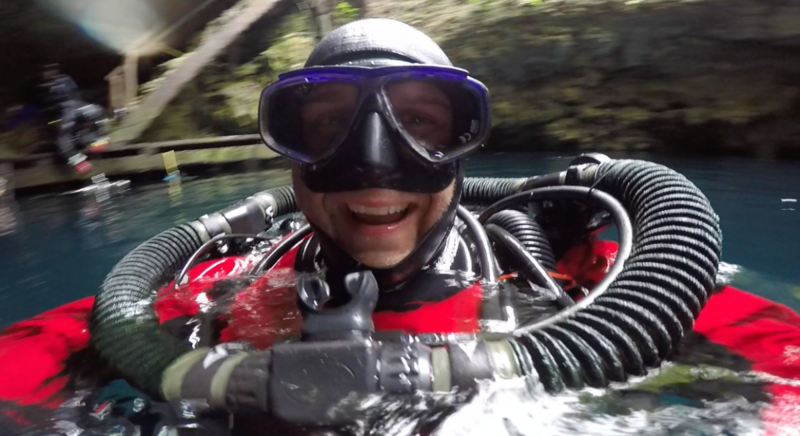 Tech Diving at it’s Best….Let Dan’s be your guideline to diving excellence and perfection. There are many choices in the technical diving courses market place. We want to be your first and only choice in technical diving courses and equipment. We offer programs that are taught to higher standards from more experienced instructors who are willing to travel anywhere you are located to learn how to dive the best way possible. If you want a technical diving course that is a cut above the rest, we’ll go that extra mile to make you the best diver you can be. We helped introduce technical diving to the Canadian diving market in 1986 when we partnered with Dive Rite. We were among the first divers certified in the safe use of Nitrox around 1992 and started offering technical diving courses in 1995, rebreather training in 1997. In 2000 we began offering the most progressive technical diving educational courses after being introduced to a better style of diving. We began to embrace and teach our recreational and technical courses with a more streamlined equipment configuration and a team diving approach inspired by what is now known as the “Hogarthian”, “NTEC” or “DIR” philosophy. We simply call this team diving methodology a more progressive style of diving. Not long after this, we began our path down the expedition diving trail participating in exploration projects that have been featured on television, in newspapers, radio and dive magazines exploring shipwrecks and caves. By 2007 we had begun offering cold water wreck sidemount training and became one of the first facilities to start offering recreational and technical diving classes in a progressive Sidemount configuration. Throughout the 90’s and early 2000’s we had had a love/hate relationship with rebreathers and after many people suffered tragic ends, we were on the fence until we came across a rebreather concept so simple, yet familiar, we had to start diving it to see for ourselves. After a number of CCR Dives we brought in this progressive rebreather configuration to be paired with double tanks of any size, dual-isolation manifold and long hose/short hose/spg configuration laid out the same way as someone would wear a doubles kit but with no bubbles in CCR or fewer bubbles in PSCR rebreather configurations and of course a breathing loop with bail out valve configuration. We offer Rebreather Training on the White Arrow Explorer CCR, PSCR Expedition model and any similarly laid out rebreather from the other manufacturers. By teaching diving the right way we have given our technical diving course graduates more academic and in-water awareness, more team and goal oriented dive opportunities, structure, uniformity, a more streamlined gear configuration and the ability to conduct dives in a safer fashion in comparison to the vast majority of tech divers certified in the market. Our dedication to our students’ development, our passion for underwater exploration, and our personal diving experience and disciplines set us ahead of the pack as the clear cut leader in technical diving education as we continue to lead the way in technical diving education. Group and Private Instruction for all levels of Technical Diving Courses are available. If you can’t come to us, we’ll even come to you, whether you’re in another province or another country. We have gear, we will travel. Courses can be done on weekends or over a block of consecutive days. If you’re interested in any of our technical diving programs a FREE CD is available offering a wealth of information about our courses and how we can help improve your diving to get you the most enjoyment, current information, complete and concise outline of what to expect when taking one of our amazing technical diving courses. Contact us for details and Technical Diving Course info. Take a look in our BLOG section to see learn more about what we do, where we’ve been and how we teach or read testimonials from some of our students. We also have a number of great videos and photos in the Photos & Videos sections. Take a look to see our students and our divers in action! 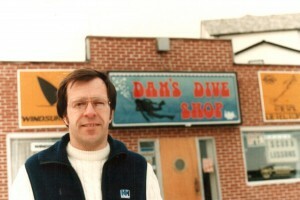 Dan’s Dive Shop was established in 1974 by Dan Mandziuk. The store was originally located at 48 Lakeport Road in Pt. Dalhousie and was a landmark for over 20 years. We are currently located at 329 Welland Ave., in St. Catharines, ON, Canada. Dan’s original Port Dalhousie location 48 Lakeport Rd. 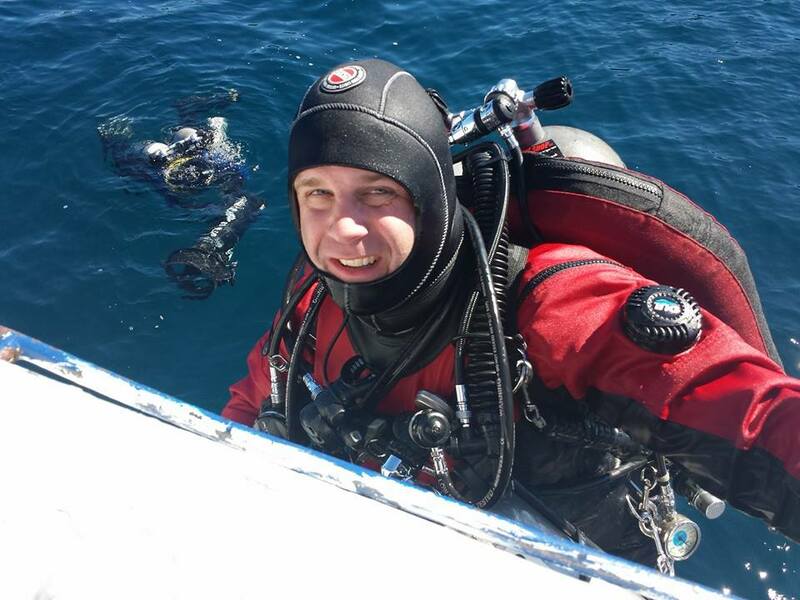 Dan’s was born when Dan decided to share with the world his love of diving. 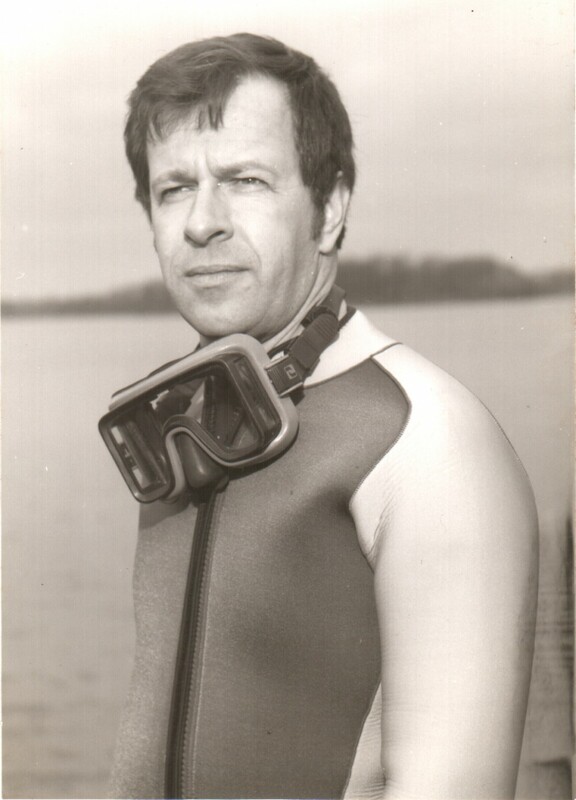 In 1971, Dan began following his dream and became an ACUC Scuba Instructor. Not long after Dan began teaching, he opened up a store front and signed on with a small organization in the mid-1970’s called PADI. Dan had a feeling that they would become a major player in the industry but had no idea that they would become the Worlds Largest International Dive Training Agency. Our store was the 23rd store Internationally to sign on with PADI. Since then we have become a household name synonymous with Excellence in Diver Education receiving numerous prestigious awards for our instruction over the last 35+ years. Dan believed in stocking the gear you would be purchasing. There wasn’t any internet shopping back then! Dan has always believed in stocking a large amount of equipment so you can try it on and make a decision by physically touching, feeling and wearing the equipment you’re about to spend you hard earned money on. Looking at pictures doesn’t tell you how a product will fit. Our expert staff, exceptional selection and most competitive prices will ensure you get the best gear for the best value. 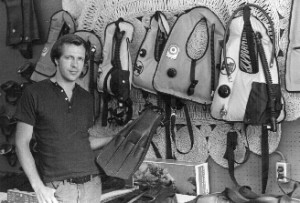 In 1997 Matt Mandziuk (Dan’s son) came into the picture as a new fixture in the store bringing in new life, new ideas and new techniques to the recreational and technical diving community. Dan’s commitment to the industry is very dedicated and a full time offering. We have worked hard in this industry. Over 20 dive stores have come and gone in this area. We have grown up into one of North America’s Largest Dive Stores by rating in the Top 20 with many of our suppliers. Dan’s has lead the way as the trend-setter paving the road scuba diving throughout Ontario, Canada and North America bringing to diving some of the most progressive, modern recreational, technical diving and equipment concepts of diver education available in Recreational Diving, Wreck Diving, Deep Diving, Ice Diving, Technical Diving, Cave Diving and use of semi-closed and fully closed circuit rebreathers. Regardless of your diving experience we are the right choice in diver education and equipment. Dan’s goal has always been to maintain our high level of service, our large selection of equipment, our vast knowledge of diving and keep you smiling and actively diving through local trips, weekly dives, charters and trips around the globe. Dan’s has recently been purchased by Matt Mandziuk who will have a big set of shoes to fill as Dan backs out slowly into semi-retirement and ultimately retirement. We look forward to many new and exciting changes with Matt at the helm. While most things will remain the same there have already been some incredible changes within the brand like in-store financing, store updates and renos as well some great new dive trips. Our goal as a shop is to keep expanding, growing and improving at every turn. 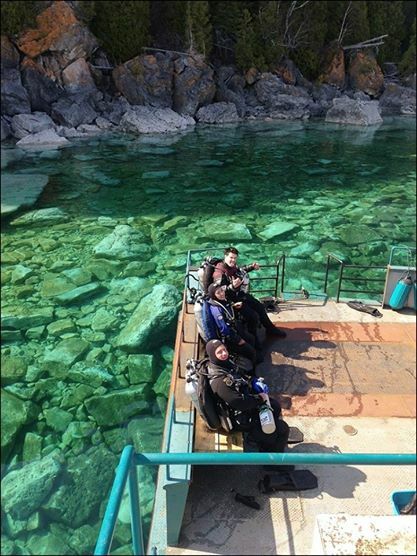 Matt Mandziuk after a fun trimix dive in Tobermory. His favourite colour is red. Matt’s vision for the Dan’s brand has also expanded into the creation of Divers Edge – our technical dive training arm. With a solid and proven foundation of recreational diving, the Divers Edge brand aims to further technical diving and exploration with some exciting new projects and trips specific to technical divers. 2019 will mark the 45th anniversary of Dan’s Dive Shop. To hit the Forty year mark in any business is a huge achievement – let alone the dive business – is no easy task. We couldn’t have done it without you – our customers and students. It’s been a great ride full of learning, improvement, more learning and lots of bubbles! Thank you for your continued support of the DDS brand and we look forward to adding more to our history!